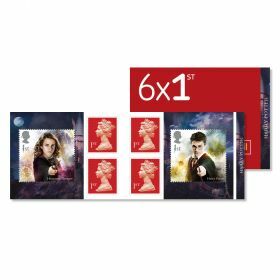 Don't miss this exciting new addition to the popular Harry Potter collection, featuring key characters from the eight Harry Potter films - including Harry, Hermione, Ron, Professor Dumbledore and Lord Voldemort. Set against a background in which Harry is duelling with the Dark Lord. Dimensions: W: 33.5cm x H: 23.5cm. 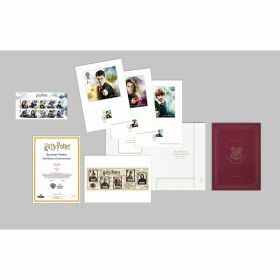 Includes individually mounted Special Stamps featuring key characters from the eight Harry Potter films including Harry, Hermione, Ron, Professor Dumbledore and Lord Voldemort.